There's really not much to say. @rkirpalaney showed me this laptop and I am in love. 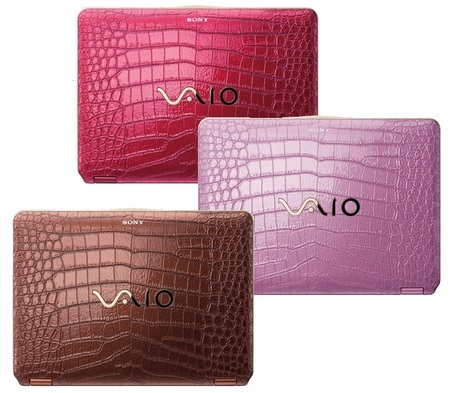 How gorgeous is this crocodile leather covered laptop launched by Sony in Japan? Intel’s Core 2 Duo processor, up to 8GB RAM, up to 500GB hard drive and NVIDIA GeForce 9300M GS graphics.14.1-inch 1280×800 LCD display and supports WiFi 802.11a/b/g/n and Bluetooth. Windows Vista. Three models are available, VGN-CS92DS, VGN-CS92JS and VGN-CS92XS. Price starts from 104,800 Yen.